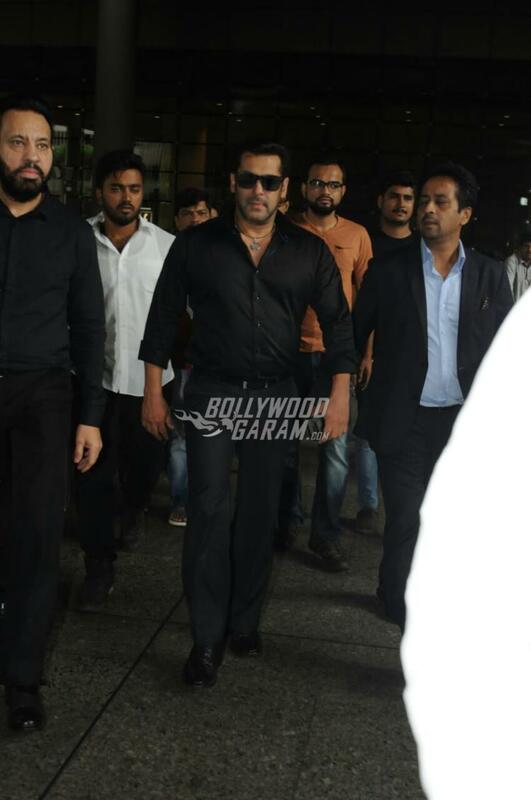 Salman Khan might have turned 51 but still managed to make heads turn whenever he goes public. 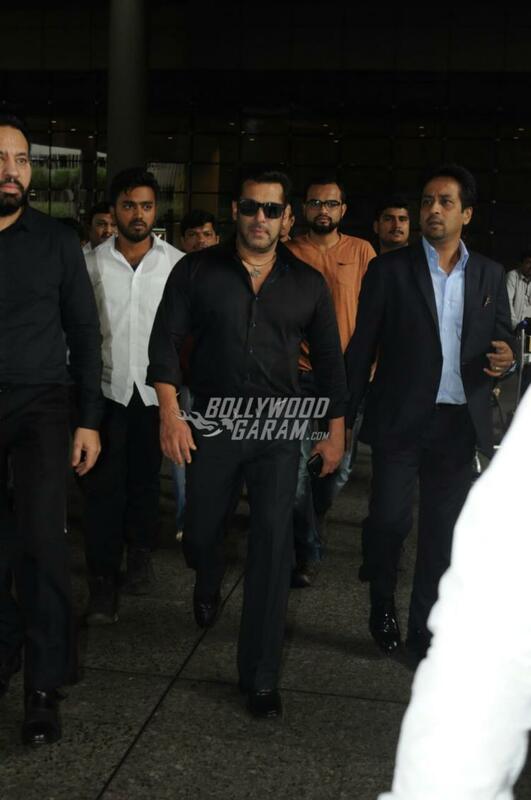 The Dabangg star made a dazzling appearance at the airport in Mumbai on July 2, 2017. 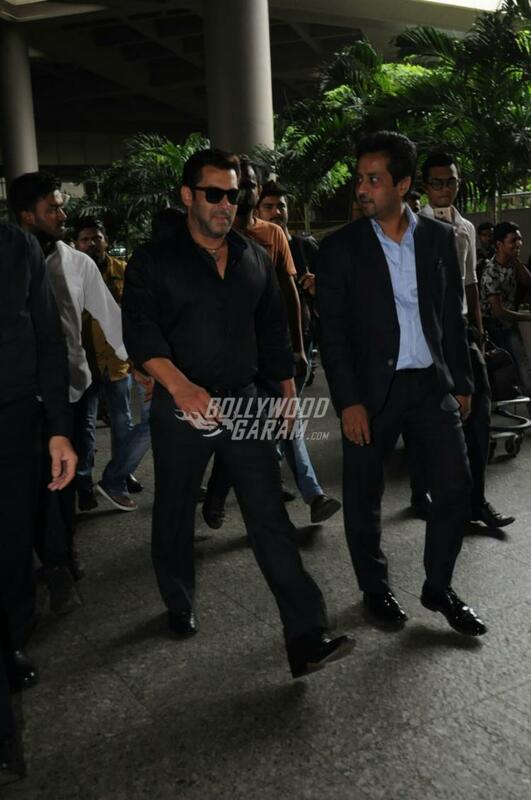 Salman was snapped returning from Delhi and was accompanied by his bodyguard Shera and his team. 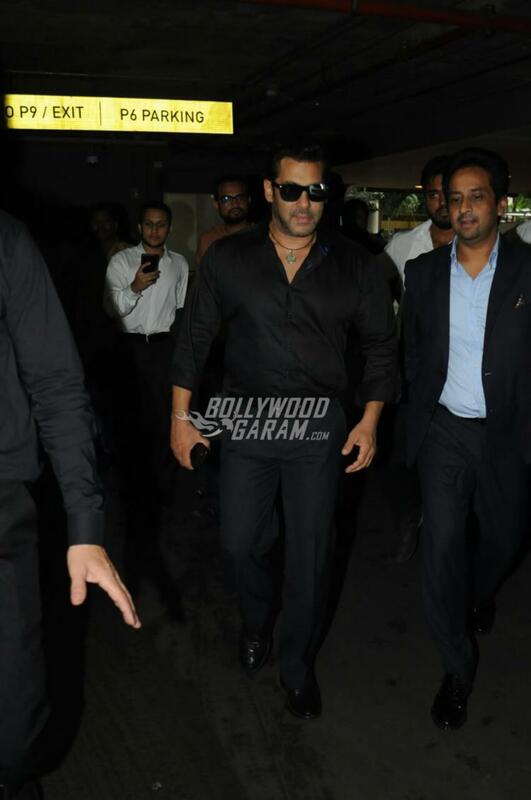 The Sultan star looked dapper in a black shirt, black pants and black glares to complete his look. The actor seemed in a hurry but did not hesitate to smile for the shutterbugs who clicked him as he made his way out of the airport towards his car. On the work front, Salman was recently seen in the film Tubelight which could not take off at the box office. The film managed to drag itself to Rs. 107.32 crores in nine days which made the figure the lowest any Salman Khan film made. After an unexpected failure of Tubelight at the box office, the audience is looking forward for the upcoming film Tiger Zinda Hai which will be the sequel of the film Ek Tha Tiger.